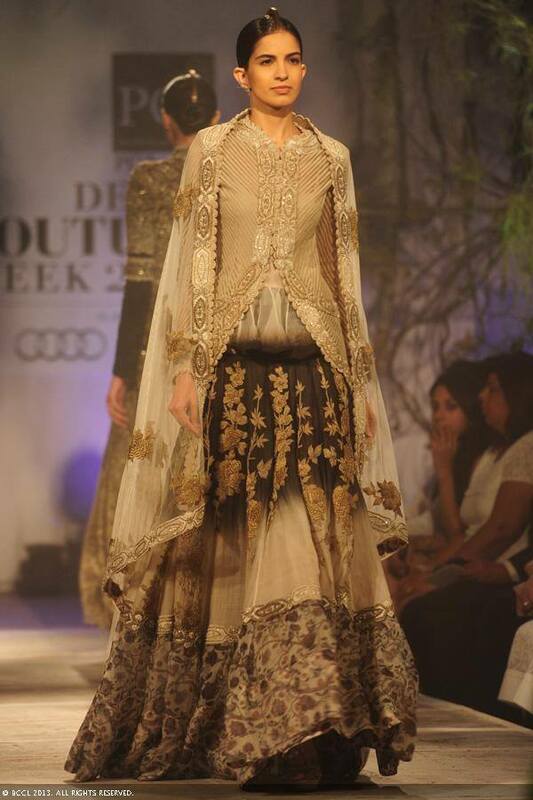 Delhi Couture Week 2013 kicked off with style and panache on 31 Taj Palace Hotel. The first day saw two stalwarts of the fashion industry – Anju Modi and Sabyasachi Mukherjee – displaying their respective collections. Glitz and glamour were intrinsic elements of both the collections and it definitely lived up to the reputation of the opening day. Inspired by the mythological figure of Draupadi from the ancient Indian epic of Mahabharatha, Anju Modi’s collection epitomized grandeur and opulence. The main idea behind the collection was to portray Draupadi as a strong woman and this was made evident through the collection that featured warrior style blouses along with creatively draped dupattas, lavish ghaghras and strikingly bold makeup. The designer’s intention of portraying a woman’s strong character was beautifully displayed through the ghaghras that made a bold statement with their volume, tiered kurtas and one-shoulder draped dupattas. Anju Modi did manage to bring alive her tale with a rich amalgamation of bold colors, styles and fabrics laced with a dash of creative uniqueness. 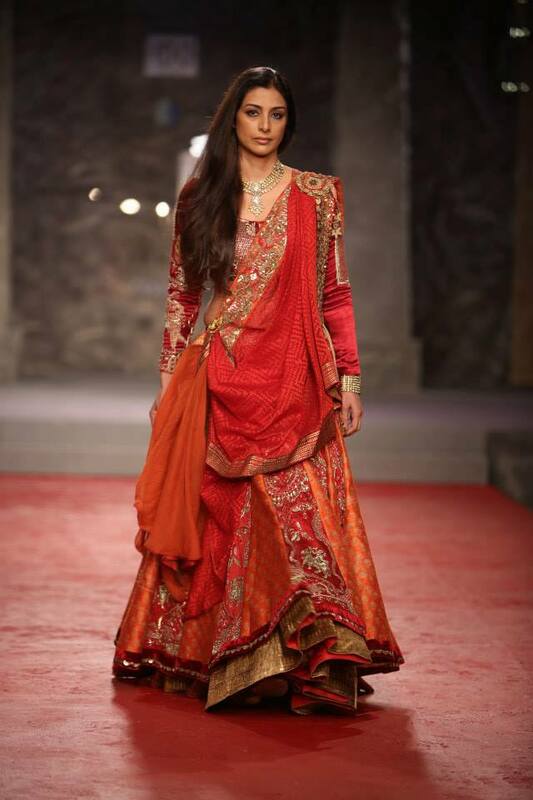 Day one also gave the audience a beautiful glimpse of one of the finest designers in the country – Sabyasaachi. His collection named Opium was a fascinating combination of glitz and simplicity. He combined rich Indian aesthetics with the charm and panache of the flapper era, the 1920’s. 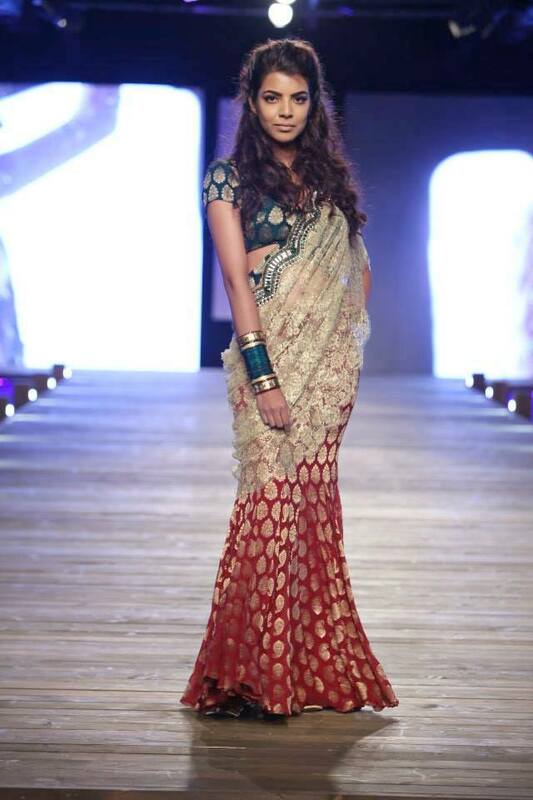 The sarees and the voluminous skirts looked gorgeous with their combination of intricate lace and appliqué designs. 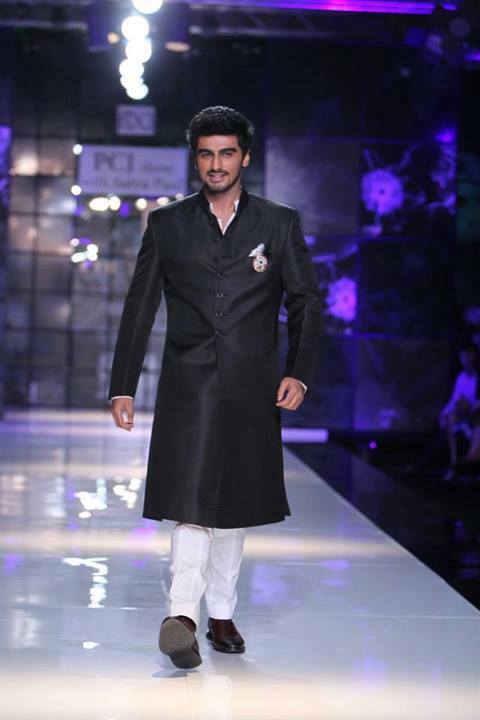 The quilted sherwanis for the men along with the elegant golden embroidery and pagdis did create a royal effect. 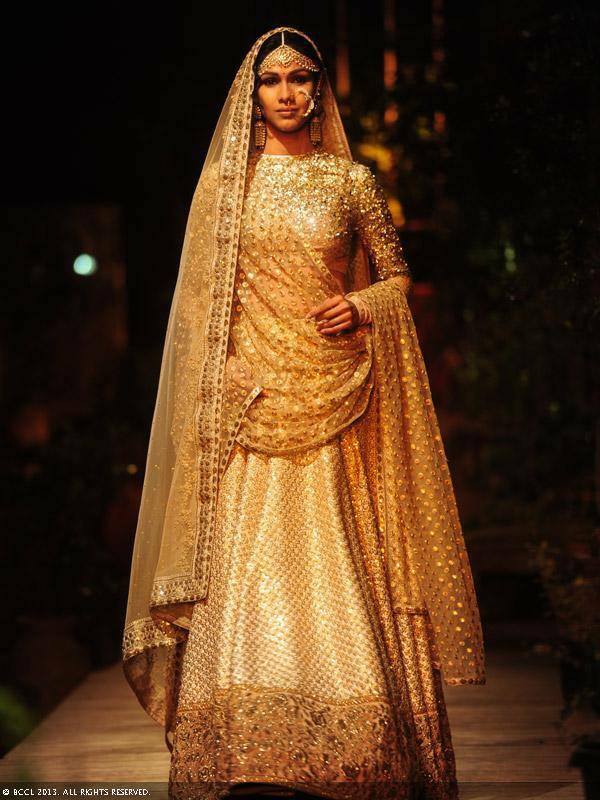 He deftly used Khadi to depict simplicity while relying on sequined detailing to add bling and glitz to the collection. While the first day was a representation of India’s rich heritage, the second day featured an amalgamation of Indian and western sensibilities. Monisha Jaising focused on featuring exclusive bridal wear for beach weddings and shades of aqua including lime green, blue, navy blue and ink blue were extensively used. She used a lot of velvet, lace and silk to design a complete bridal wardrobe ranging from bathrobe to bridal finery. 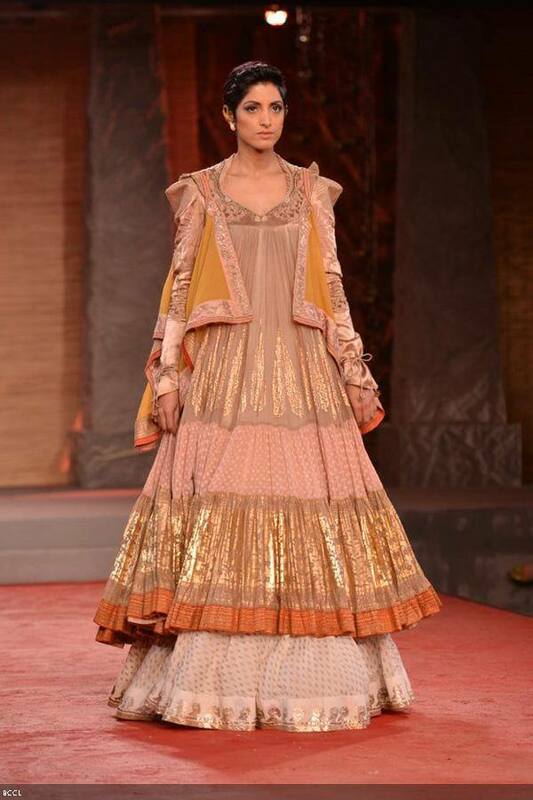 Anamika Khanna also showcased bridal collection that was infused with Indian elements. 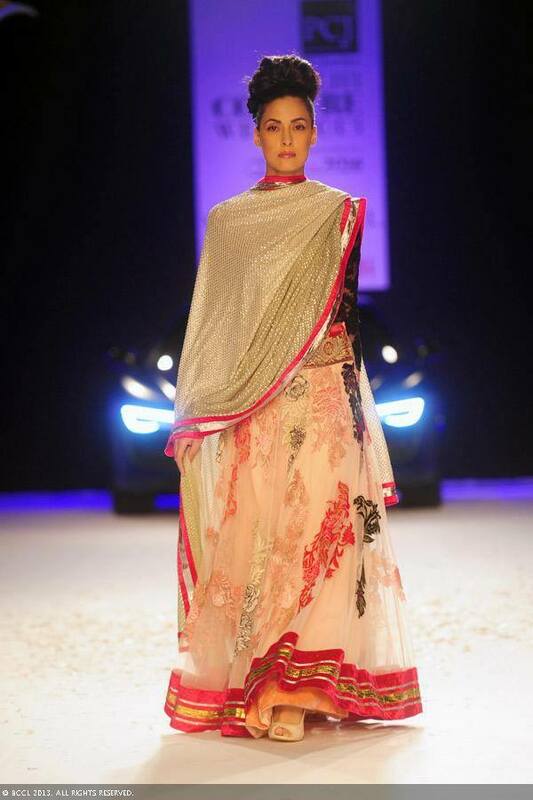 Two were the main highlights were Lucknowi chikankari work and sari draped in Maharashtrian style. Varun Bahl named his collection as ‘Flight’ to epitomize India’s rich heritage of embroidery techniques, hand crafted embellishments and opulent textiles. This ace designer’s collection was a beautiful fusion of traditional and modern where chiffon, silk, wool-crepe and canvas were combined with silk net, gauze and organza to create gorgeous garments. He combined his signature embroideries with modern silhouettes to create a collection that would cater to the tastes of the modern contemporary woman. 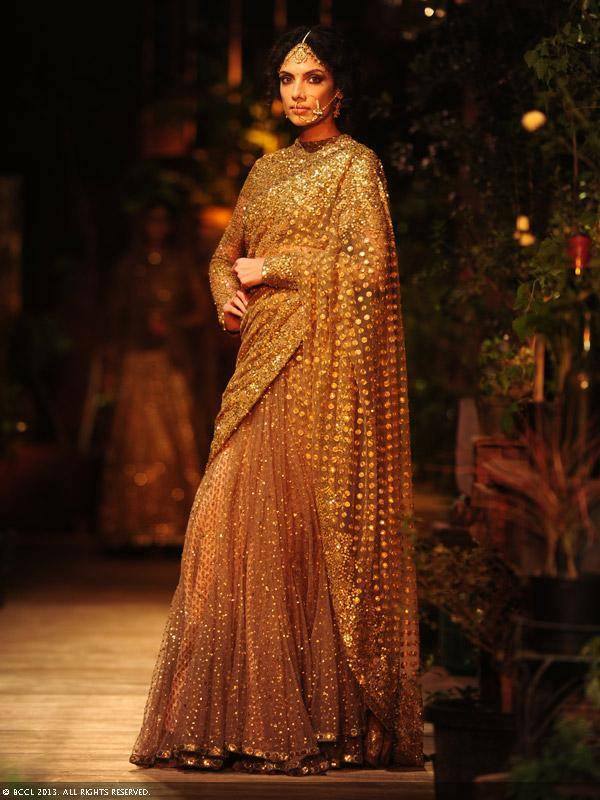 Satya Paul along with Masaba showcased their first ever demi-couture collection on the third day of the couture week. Masaba Gupta debut collection was about making a statement through bright, bold and beautiful prints. Furthermore, to add to the glamour and glitz of Satya Paul’s capsule collection, the glamorous models and stars were also adorned with PCJ’s sparkling diamond and polki jewelry.